Please find the enclosed report on the Doping Control/Drug Testing Program of USA Powerlifting for the past year. We have aggressively advanced both our In-Competition (ICT) and our relatively new Out-of-Competiton (OCT) Drug Testing Programs. We believe that it is important to share this information, not only as proof of ongoing commitment to doping control, but also to benefit from the comparisons and advice from other member nations and federations. In this way our sport can continue to move forward in it’s quest of Olympic Sport Recognition. This report was originally submitted to USPF President David Jeffrey, in hope that a sharing of informa-tion on this program would bring our federations together on common ground. We have not received a response, however Dr. Richard Herrick had sent us a copy of the USPF Medical Committee Report previously, which contains a log of 126 tests conducted between October 1996 and June 1997. If this figure is a total number for tests conducted by the USPF for the period, then a great disparity is evidenced when compared to the 700 tests conducted by USA Powerlifting during the same period. It is unclear whether a comparison can be drawn with Out-of-Competiton testing, as we have no documen-tation from the USPF on this program. 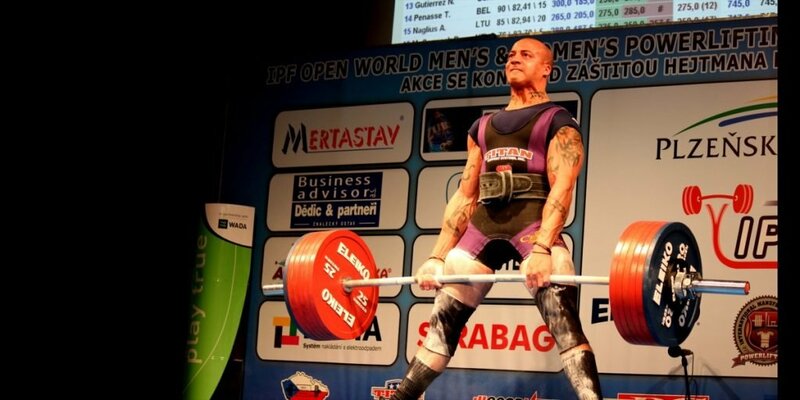 USA Powerlifting has hopefully created an additional incentive for increased Out-of-Competiton Test-ing, by approving an agenda item that allows USA Powerlifting Meet Directors to conduct up to two (2) out-of–competition tests on athletes committed to their meet, within the time period of six weeks prior to the meet. These test(s) will then be credited to the Meet Director’s 10% minimum required testing for the event, and will be considered for reimbursement as a part of the requirement. Specific wording on this policy is available from the USA Powerlifting National Office. Public disclosure and documentation of ongoing Doping Control Programs will be essential in promot-ing powerlifting to the Olympic Sports Movement. In searching for protocol to enable publishing our list of suspended members, Attorney Ronald Rowan, General Counsel for the USOC, suggested that we include a statement in our policy through which the athlete/member acknowledges and understands that USA Powerlifting will periodically publish the names of suspended members. We hope to imple-ment this soon. We hope this report is beneficial; we welcome any comment, advice or critique.